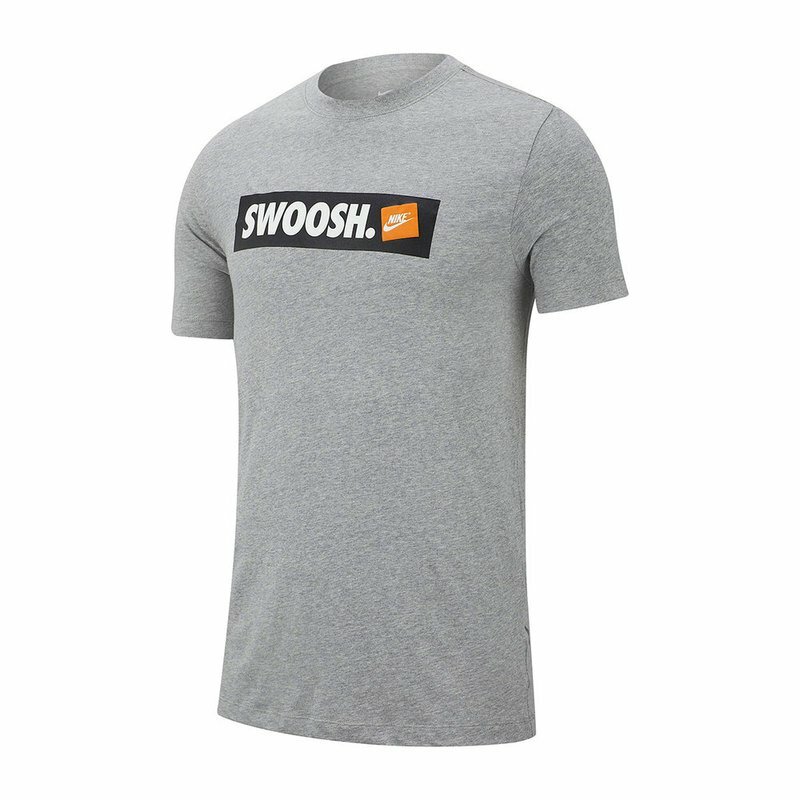 The Nike Sportswear Swoosh Men's T-Shirt sets you up with a soft cotton jersey feel and a "SWOOSH." graphic screen printed on the chest. "SWOOSH." graphic and Nike corporate logo are screen printed on the chest.